Few travelers use the Tokyo bus system because the subway and train system is so easy and extensive. 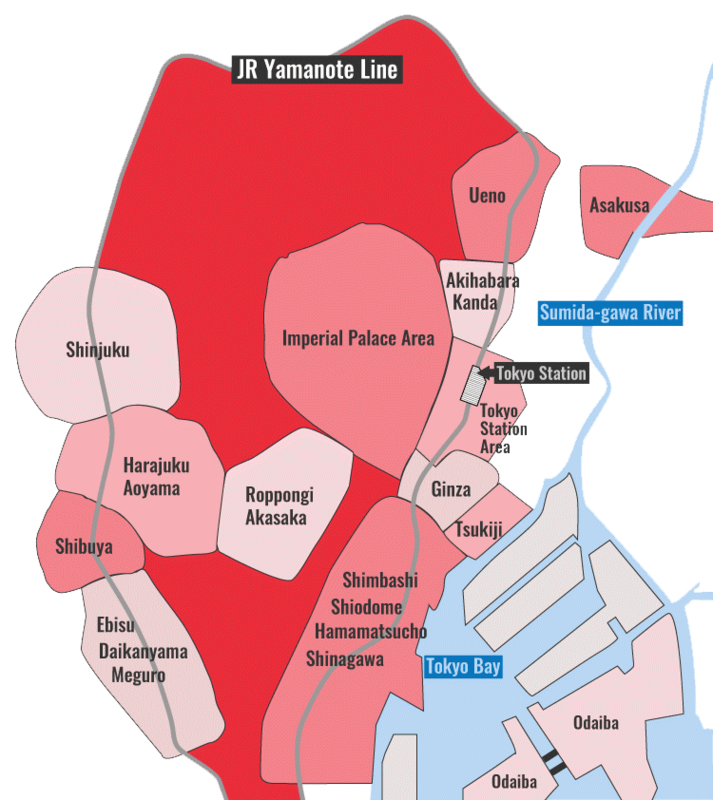 For those who do want to ride the buses in Tokyo, I provide all the details here. Tokyo's subways and trains are easier to use than buses. Most buses operating in the city center charge a flat fee of Y210 for adults and Y110 for children. The easiest way to pay the bus fare is with a prepaid card (ie, Pasmo or Suica). See below for all details, including links to route maps. Most travelers in Tokyo use the city's excellent subways and trains to get around. The buses aren't difficult to use but it's unlikely that you'll need to use them on your trip. In case you do choose to ride the buses in Tokyo, I'll give you all the necessary information here. Most local buses in Tokyo are part of the city-run Toei Transport Network. The Toei Bus Page has full details on all their routes, services and special tickets. Most local buses in central Tokyo charge a flat fee of Y210 for adults and Y110 for children. You board the bus at the front of the bus near the driver. If you are using cash, you pay the fare into the fare machine. Some machines automatically make change, while in others, you have to change Y500 coins and bills first and then deposit the correct amount in the fare box. The driver can tell you what to do. Most buses have priority seats for the elderly, pregnant women, disabled or injured people and people traveling with small children. These are usually indicated with signs, pictures and different color seats. You push a button on the side or ceiling of the bus when you want to get off. You then get off via the door in the middle of the bus. Obviously, fiddling with change and bills when boarding a bus is a pain in the neck. Thus, if you're going to ride the bus a lot, I recommend buying a Toei Bus One-Day Economy Pass (Toei Bus Ichi Nichi Joshaken), which costs Y500 for adults and Y250 for children. They allow unlimited use of all Toei buses for one day. They are available at Toei bus offices and JTB offices, but it's much easier to buy one from a bus driver on the day you intend to use it (on your first ride of the day, ask for an "Ichi Nichi Joshakan"). Check the Toei Ticket Types page for all details. By far the easiest and best way to pay the bus fare is with a Pasmo or Suica card. You merely swipe the card over the card reader on the fare machine when you board and the fare is automatically deducted from your card. For details on where and how to buy one of these cards, see my Tokyo Prepaid Cards page. Visit the Toei Bus Map and Route Finder page to view route maps for all Toei buses. You can search by area, by spot and by purpose. In addition to the Toei bus system, there is a wide variety private and public buses doing specialized routes like Shitamachi routes and Tokyo Skytree routes. 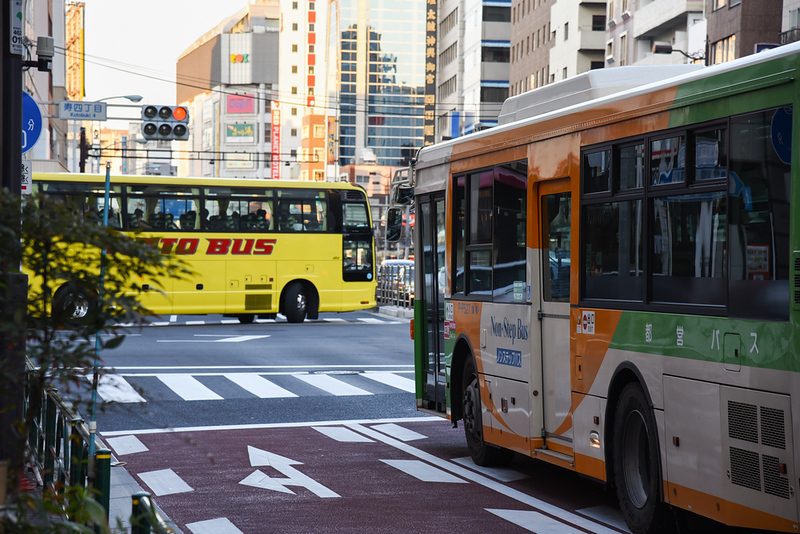 For a full rundown on these other bus services, visit the Tokyo Convention and Visitors Bureau Tokyo Bus Page.